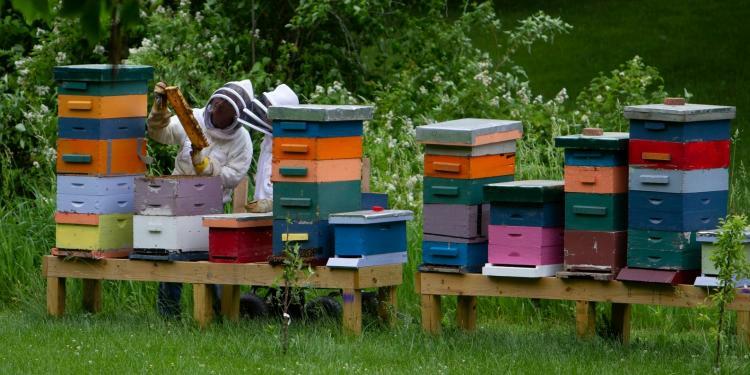 The North Central Beekeepers Club is offering an Introduction to Beekeeping course. The free program is open to the public and will be presented in two parts on January 16th and February 20th at the Cool Creek Nature Center. Classes run from 6:30 – 8:00 p.m. If you are interested in exploring the fascinating hobby of beekeeping, please plan on attending both sessions. The program is free and no advanced registration is required. All ages welcome, but parent must attend with children under 16.